The Committee for Medicinal Products for Human Use (EMA) recommends granting conventional marketing authorization for Zynteglo gene therapy. This is a drug for patients with beta-thalassemia (from the age of 12) who need regular blood transfusions and who haven’t found suitable donors for stem cell transplantation. Thalassemia is a group of hereditary diseases of the hematopoietic system, which are characterized by impaired hemoglobin synthesis. Therefore, the main symptom of thalassemia is anemia. If the synthesis of β-chains is impaired, then it is a question of beta-thalassemia; at the same time, other hemoglobin variants are formed that do not contain β-chains. Beta-thalassemia is more common. There are major, intermediate and minor forms; the most serious disease is thalassemia of major form, while the minor one allows you to lead a near-normal life. When developing the drug received the status of orphan. The development of gene therapy is carried out with the support of EMA in the framework of the PRIME program (PRIority MEdicines). This platform is designed to establish a dialogue with the developers of promising innovative products in the early stages. Such interaction contributes to the formation of a more complete set of documents, allowing to speed up the evaluation procedure and make a decision in just 150 days, which is a record time today. The decision to grant conventional marketing permission to Zynteglo was made at the March EMA meeting. Another 3 drugs also received a favourable decision on the expansion of indications. In order to obtain a conventional sale authorization, the data on the drug must indicate that the benefits of the drug outweigh the possible risks. And the applicant must provide full clinical data in the future. Johnson & Johnson Vision brings light adaptive contact lenses to the US market. They are able to adapt to different levels of illumination; the Transitions technology is used, which is the same as for manufacture of glasses lenses. Contact lenses are called Acuvue Oasys and are intended for everyday use. One pack is for 2 weeks. The lenses contain an additive that responds to different levels of ultraviolet light. It allows the lenses to return to the original color at normal illumination or dimming for 90 seconds. J & J states that photochromic lenses help the eye to recover faster from bright sunlight. Therefore, these lenses allow less squinting; at the same time, they reduce the halo effect or flashes around the light source at night. However, they are not used as a substitute for sunglasses or other eye protection from ultraviolet light. 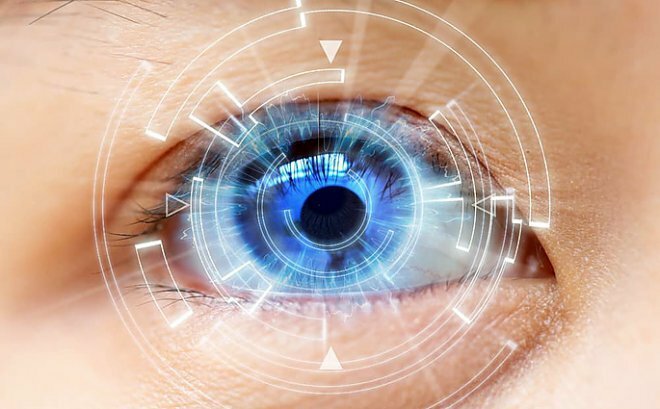 The FDA approved these lenses for the first time in April last year, in particular, considering the clinical study involved 24 patients, where the ability to drive a car at night and daytime was studied. Evidence of negative influence of the lenses on the ability to drive or vision was not found. X7 Research took part in the last IPhEB Russia 2019 exhibition in St. Petersburg. IPhEB is the most Russian pharma event hosting a wide range of exhibitors in the field of pharma ingredients, finished dosage, machinery, equipment, technology and outsourcing. This event is the unique opportunity to initiate business and build partnerships in the booming Russian and CIS pharma markets. The World Health Organization adopted a new strategy to fight the flu for 2019-2030. Its goal is preventing seasonal outbreaks of the disease more effectively, improving the control over the transmission of the virus to humans from animals and preparing for the next flu pandemic, which, according to experts, is inevitable. According to Tedros Adanom Gebreyesus, the WHO CEO, the risk of transmitting a new influenza virus from animals to humans and the potential occurrence of a pandemic is real. The only question is when it happens. He urged to be prepared for a major outbreak of influenza, stressing that its consequences could cost mankind much more than the cost of the necessary preventive measures. The WHO recalls that, according to experts, about 1 billion people suffer from influenza every year, while from 3 to 5 million diseases are severe. The number of fatal cases ranges from 290 to 650 thousand per year. As the most effective remedy for this disease, the WHO recommends vaccination, emphasizing that it is important to immunize people who may face complications, as well as medical professionals. Tedros Adan Gebreyesus noted that the world is now better than before prepared for a new flu pandemic, but this is not enough. The task of new strategy is to bring the health care to necessary level to combat a major outbreak of the disease. The implementation of new strategy will allow countries to increase the level of diagnosis of other infectious diseases such as Ebola and Middle East respiratory syndrome. The FDA approved a new generic valsartan to control blood pressure. It was a mean to solve the problem of reduced supplies after some pharmaceutical manufacturers recalled their valsartan drugs because of the potential risk of cancer. The FDA is reviewing the marketing application for the generic valsartan manufactured by Indian company Elkem Laboratories Ltd, prior to its approval. The approved drug is a generic of Novartis’ Diovan original product. The FDA chief executive officer, Scott Gottlieb, said that, given the shortage of drugs, the FDA uses a number of strategies to mitigate its effects on patients. Mr. Gottlieb also noted that the agency has given priority to the task of reviewing marketing applications for valsartan drugs to mitigate the effects of drug shortages on the health care. The FDA also examined the manufacturing processes at Alkem’s facilities and concluded that the company used proper analytical methods to demonstrate that the new generic does not contain potentially carcinogenic NDMA or NDEA impurities that have already caused global withdrawal of valsartan and some other sartans. The European Medicines Agency (EMA) accepted for consideration a authorization application from Merck KGaA for Bavencio (avelumab) for the treatment of patients with advanced renal cell carcinoma (CRP). 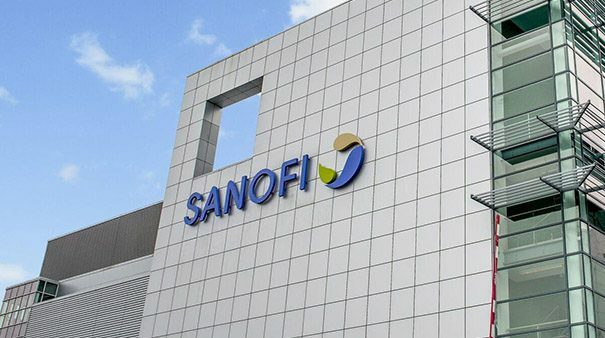 The regulator is considering the application for the use of Bavencio in combination with Inlyta (axitinib), which was submitted on the results of Phase III pivotal clinical trial (CI) JAVELIN Renal 101. JAVELIN includes more than 30 research programs; more than 9 thousand patients with more than 15 different types of tumors take part in researches. In addition to RCC, Bavencio therapy for breast cancer, gastric cancer / gastroesophageal cancer, head and neck cancer, Merkel carcinoma, non-small cell lung cancer and urothelial carcinoma is being investigated. The CI results were published in the New England Journal of Medicine in February 2019. The FDA also accepted an application for this combination of drugs for distributed RCC for an accelerated review. CRP is the most common form of kidney cancer, which occurs in 2–3% of adults with this disease. 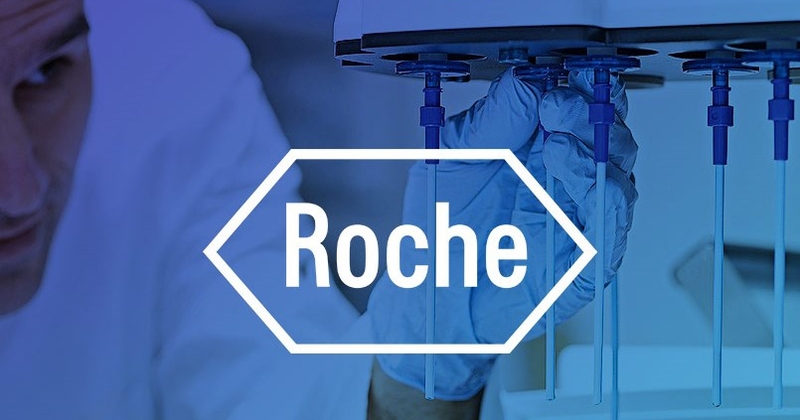 Roche’s immunotherapy drug Tecentriq was approved in the United States for treatment of patients suffering from triple negative breast cancer (TNBC), which is a progress in fight with this aggressive disease. The FDA approved Tecentriq in combination with a chemotherapeutic drug Abraxane for the treatment of inoperable locally advanced or metastatic TNMP in patients with PD-L1 protein expression. In a study conducted by Roche, approximately 40% of patients had tumors with a high level of PD-L1 expression. The FDA approved this combination of drugs based on clinical study showed a slower progression of the disease by 7.4 months (median value) compared with 4.8 months when chemotherapy was used alone. Roche is still awaiting data on overall survival and its specialists noted that positive opinion of a regulator may depend on results of further supporting studies. According to Roche Medical Director Sandra Horning, the Tecentriq combination is one of the first cancer immunotherapy regimens approved for breast cancer and symbolizes significant progress in understanding this disease. The industry’s pledge to improving the patient experience drove significant change in 2018 and will continue to do so this year, with so-called “convenience” services to become standard, says Greenphire CCO, who outlines several other trends to watch. 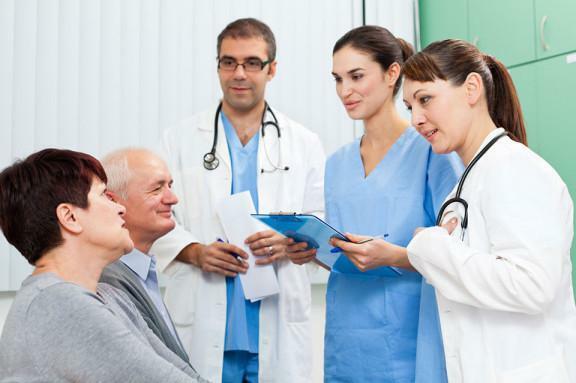 The clinical trial sector’s overall commitment to improving the patient experience was perhaps the most significant positive change seen over the past year. High dropout rates across all trials – around 30%, according to studies – and 85% of trials failing to enroll enough patients has driven this paradigm shift. “Improving these numbers is paramount to driving better patient outcomes, and the key is keeping participants engaged throughout the study and removing barriers to participation,” said Wayne Baker, chief commercial officer, Greenphire, a clinical trial payments solution company. A survey from the National Institutes of Health cited a “lack of transportation” as one such barrier, particularly among certain participant demographics. As a result, several companies have partnered with ride-sharing companies, such as Uber and Lyft, to remove the logistical burden of organization and paying for transportation. Moving into 2019, Baker predicts these types of “convenience” services will become a standard offering in clinical research. The industry also will begin to see a shift toward more site-less and/or hybrid trials, he said. As this trend matures, Baker said sites will look for new ways to engage and retain participants for the duration of a study. Regulations such as the General Data Protection Regulation (GDPR ), the California Consumer Privacy Act , the Physician Payments Sunshine Act , and others, “will continue to influence how clinical trial sponsors and sites capture and store participant data, and what they can do with it,” noted Baker. Ultimately, changing regulations will drive sponsors, sites, and vendors to update and strengthen data system architectures – and will require heightened due diligence to ensure compliance, he said. “Like to 2018, regulatory changes, and the disparate way that regulations are enforced per state and per country, will continue to be a challenge for sponsors and sites conducting global clinical trials,” Baker added. Pharma companies have been under mounting pressure to increase transparency as it pertains to how funds are dispersed – with some $125-$160bn spent annually on global R&D, according to Greenphire. “By standardizing and centralizing global investigator payments, sponsors can better ensure that clinical trial-related payments are executed consistently, accurately and in compliance with financial regulations around the world, benefiting sites and sponsors,” he added. Coming closer to a reality in 2019, is the use of business intelligence to support clinical trial feasibility, Baker said, as the need for better insight into clinical trial data trends – which can support feasibility teams – grows. “Through the use of technology solutions that aggregate and use data in a smart/dynamic way that can be shared with other interconnected software systems, sponsors will have far more accurate business intelligence for enhanced forecasting capabilities that can be used as a baseline for future studies and in support of feasibility,” Baker added.